1. Cut the middle out of a paper plate. 2. Cut out two rabbit ear shapes from white card, and glue balls of pink tissue paper to the middle. 3. Glue or tape the ears to the top of the paper plate and the lollipop stick to the bottom. 4. Tape the pipe cleaners to the sides of the mask to create the whiskers. 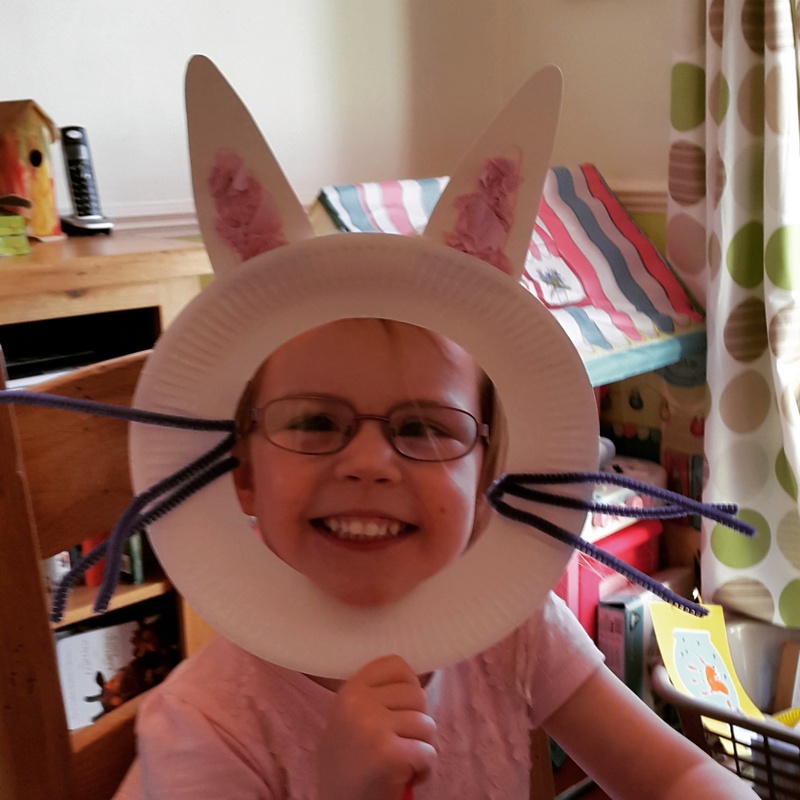 We always have paper plates in the house, they come in handy for so many craft activities! Ohh these are so cute! Have added these to our half term planner! Another super cute Easter craft!